With high excellence in this domain we have been able to offer our clients a beautiful range of Ladies Sharara that are made with high precision. The designs are creatively prescribed on the sharara that makes them much more attractive. We provide customization to our clients as per their requirements and we provide the exact product that they desire to attain maximum client satisfaction. Blue Embroidered Georgette Sharara offered feature use of vibrant colors and fine finish quality that adds a touch of sophistication to the dressing style. Further, the fine crafting work also assists in enhancing the finish appeal and overall dressed looks of the wearers. Some of its features include unique looks, elegant designs & intricate patterns, provides for a designer appearance, choice of different styles, finish and designs; beautiful embroidery work which make these highly exciting options to wear, suitable for wearing during occasions like parties and other important occasions. Indian Sharara offered features high-quality craftsmanship with its rich vibrant colors making them all the more desirable. The fine finished quality of the dress also adds a touch of sophistication to the overall presentation. Some of its features include providing for unique looks, elegant designs, intricate patterns and designer appearance, beautiful mix of colors, enchanting work and print styles, a perfect choice of party wear, high elegance values, exclusive styles that mesmerize the onlookers. We make sure that our products are procured from some of the best vendors in the industry who are highly reliable with their materials. Our firm has an mesmerizing range of Designer Pink Choli Sharara that are designed with high precision by our designers for providing our clients a best in class and unique range of products. Moreover, our clients get a variety of dupattas that are designed in such a way that it gives a graceful and subtle look to the patron. This product is well appreciated by our clients for its fabric used and attractive designs. 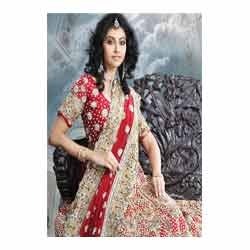 We are engaged in manufacturing, supplying and exporting a extensive range of Designer Choli Sharara that are very attractive. These are available in various colors and we also have unique range of bridal collections that adds an extra attractiveness to the occasion. The product provide the client with an new and beautiful look. Fashionable Sharara offered are designed and stitched to utmost perfection and reflect excellent craftsmanship standards which make these highly exciting option to wear. Further, its smooth designer appearance also makes these most favored selection choices of the customers. Some of its features include provides for enhanced looks, attractive finished looks, adds for a sophisticated dressed look, exclusive designs, beautiful mix of colors, beautiful work done with other beautiful embellishments that enhances overall finish appearance, enchanting pattern choices that make these dresses even more beautiful.